Ok so I have to say, I am not the biggest fan of halloween. 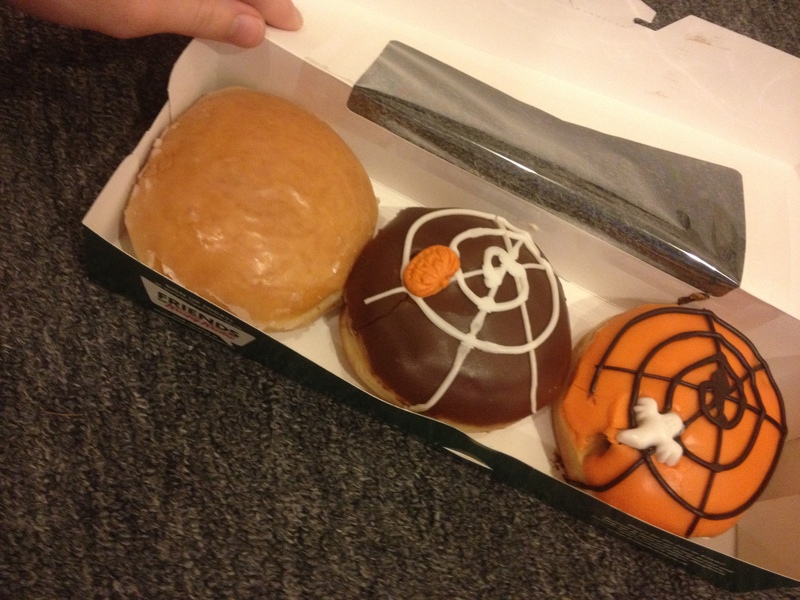 It is however a great time for halloween themed food! I came across these items without even thinking about it specifically, and as halloween is coming up, I thought it might be fun to give these a review of their own. 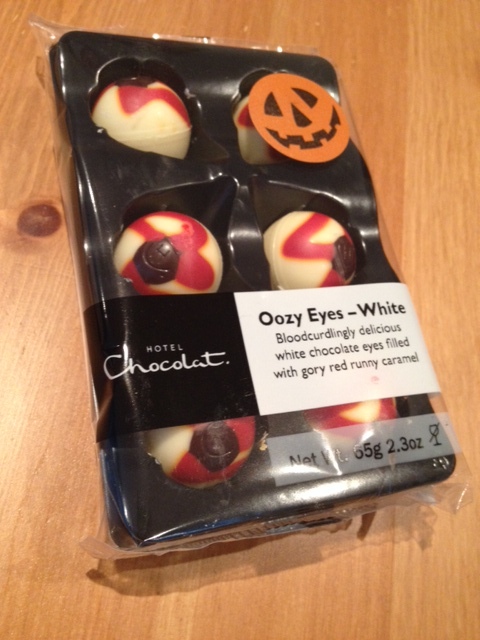 These are White Chocolate Oozy Eyes from Hotel Chocolat. 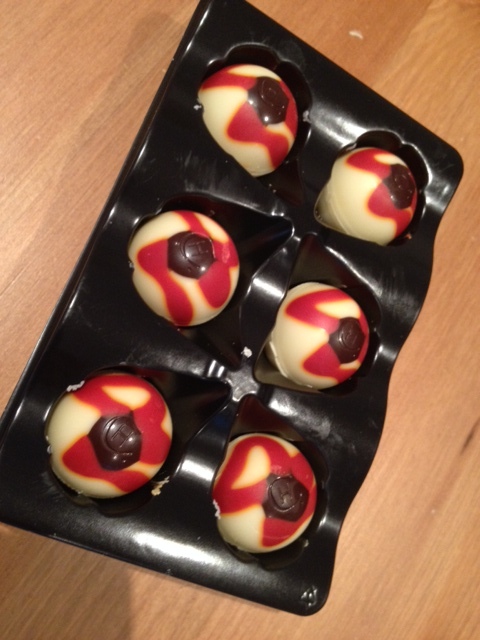 They had a hard white chocolate shell (painted like a eye – because nothing says yummy like a bloody eyeball…) and was filled with a red coloured runny caramel. This was really tasty but it did taste like the caramel had a lot of colouring added. I do love Hotel Chocolat and this was just a treat for myself and J. We enjoyed them! Looking forward to see if they bring out any Christmas themed chocolates because Christmas was much more my jam! 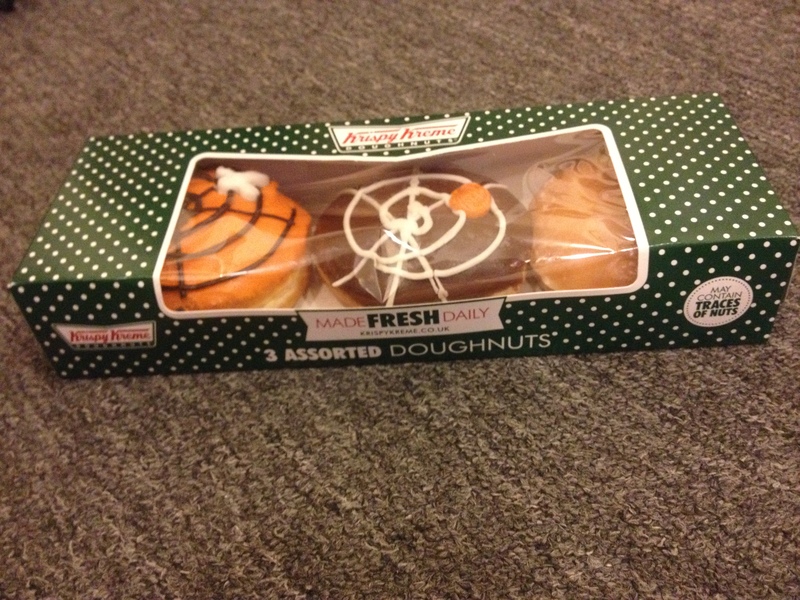 I have a real addiction love of Krispy Kreme Donuts. When I first started dating Josh we once spent several hours on public transport just to reach a Tesco than had one of those stands in that sold them! Such is my love of a chocolate donut. On the way back from his Stag Do, Josh felt a bit sorry for me spending the weekend alone so he brought us some donuts 🙂 The first one was a glazed donut filled with a raspberry jam. That one wasn’t all that special but Josh loves them. The other two were their Limited Edition themed ones. They are trick or treat. You have orange and brown icing on top but the inside is a mystery! You either have a fizzy lime (thats the trick and inside our orange one!) or a chocolate truffle centre (the treat! and the inside of our brown one!). The chocolate truffle was better than the other one but I guess that was the idea! I got sent these cute little guys from my Foodie Pen Pal this month. 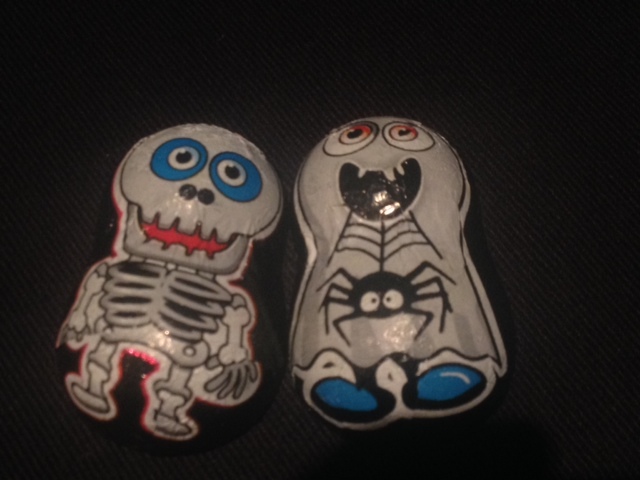 I’ll talk a bit more about that soon, but inside her parcel included some cute little halloween chocolates that tasted like Kinder bars! They were yummy and were such a nice thing to be sent! ← A personal foodie update!